Cut down your Easter-carbon-footprint with some green-Easter celebration tips using everyday household items and ideas. Just like Halloween, Easter is the time of the year when Easter candy and chocolate Easter bunnies are sold by the tons. The sales of jellybeans, creme eggs,and marshmallow goodies soar and comes in second officially to Halloween. Just think of the cardboard,cellophane wrapping, and Easter bunny boxes there will be for the garbage after it's all over. What Kids Don't Like Chocolate? Fair Trade Chocolate and cocoa products are the way to go, to at least ensure that what you have purchased was produced under proper and fair working and environmental conditions. 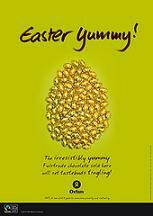 Check for Fair Trade Certified labels on your chocolate. Vegan and organic candies are a good alternative for your kids as well. Do you have any plastic eggs? 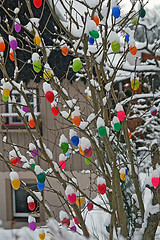 They are so pretty, but end up tossed year after year just like easter baskets do. If you have already bought the easter plastic eggs with treats in them, at least make sure you hold onto them, and keep until you need them again next year. If you hid them on an easter egg-hunt, and they weren't all found, go out and find them all yourself. They are great for hiding small treats in, but otherwise, try to avoid buying them in the first place. Keep a box labelled "Easter Decorations" to keep Easter baskets, plastic eggs and whatever else in them. These items can be used repeatedly. If you don't have Easter baskets and want them, I can tell you I see them at garage sales all the time for as little as ten cents apiece. Make sure you can do something with them after easter. 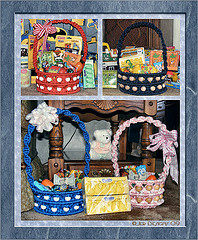 You can come up with easter basket ideas for other uses throughout the house. If they are a good size, they are great for plants, and they work beautifully as organizers for just about anything. 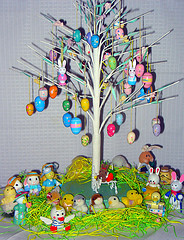 When putting together your own Easter basket, there a few things you can do to make Easter grass. You can shred colored newspaper, any scrap paper from advertising flyers, colorful magazine or catalogue pages, or brightly colored tissue paper. Check your Christmas box of recycled wrapping paper. You are likely to find tissue paper there of all colors, and this is a great way to reduce your easter-carbon-footprint. Wheat grass would be a lovely natural way to cover the bottom of your basket, and of course real grass from the lawn works too. Another way to make Easter grass, is to make it entirely edible. Take rows of dark green shoe-string licorice, and cut into 2 or 3 inch lengths. Spread around the bottom of your basket and load in the goodies. It looks quite nice. Of course any color will work, but Easter decor usually uses a variety of pastel colors like yellow, light green, blue, pinks and purples. 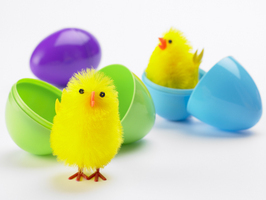 Children love to make crafts, so gather up materials from around the house in these colors for making easter crafts for kids, or for any easter decor for the home. You can get supplies if needed very cheaply at a dollar stores. 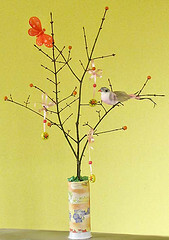 If you have alot, they make great centerpieces (use hot glue) or tied as decorations hanging from a bare branch indoors. You can decorate outdoors as well. This would be a great easter craft for kids project. I see them alot, and they are simple, but cute. Take a look. What would the Easter holiday be in some households without the easter tradition of dyeing easter eggs? You can reduce your easter-carbon-footprint by using natural plants instead of chemicals, and give your Easter eggs some really beautifully vibrant colors in an eco-friendly-easter way. Learn how to color easter eggs in a natural and safe way. People not only get Easter candy and Easter chocolate but kids get little Easter presents as well sometimes. Reduce your easter-carbon-footprint and give them things that will last and continue to serve a purpose beyond the Easter holiday. Games, puzzles, books, eco-friendly art supplies, or a "start your own garden" kit are good ideas. And instead of using a basket which you may or may not have, try wrapping furoshiki style, or in an eco-friendly cloth bag. If you want to send easter flowers to relatives, be sure to send naturally organically grown bouquets. Ask a florist. Please don't get kids a bunny unless you are really sure it's not going to be a problem AFTER Easter. I know, they are so cute, so cuddly and seem so appropriate for the day, but if you are the least bit hesitant at the start, that may be a good sign it's not a good idea afterall. Make them an easter bunny cake instead. 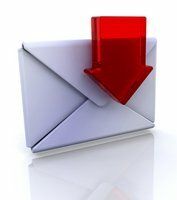 Care2 Free Easter Cards generates donations to wonderful causes, so send an ecard instead to save time and paper. You will be doing something worthwhile for someone or something somewhere. Do whatever you can to reduce your easter-carbon-footprint. You will see less waste, and have more pocket money too.